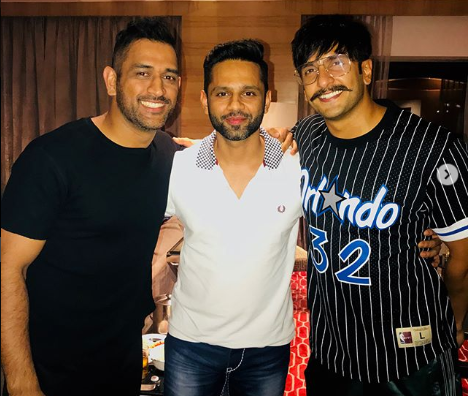 Former Indian captain MS Dhoni looks completely different off the field. He may be a person, who doesn’t show emotions on the field and has no expression on his face most of the times. But no, he isn’t a robot. The 37-year-old was last spotted in his wife Sakshi Dhoni’s birthday bash recently. Being the most respected personality in the party, he was definitely the center of attraction even though there were many stars along with him. Singer Rahul Vaidya, the Indian Idol fame, is a huge fan of the Indian wicket-keeper batsman. We have seen him getting clicked with Dhoni and lauding him on social media earlier as well.